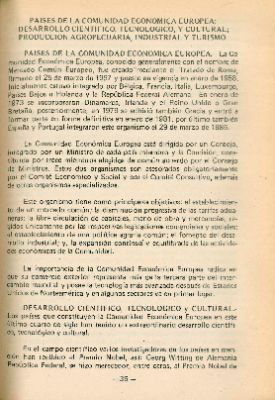 : The institutional structure of the European Economic Community and its achievements are presented in this textbook source. The particular scientific and technological development of the countries in this region is emphasized in the text. The authors claim that in the future, artificial intelligence, such as robots, will play an important role in industry and commerce. Abstract textbook: The book is suitable for the third course of lower secondary education ( ) in history, geography, and civics.